The bag of snails, which came in with the mountains of vegetables, was quite quickly put to use… and very swiftly became a tasty part of dinner. 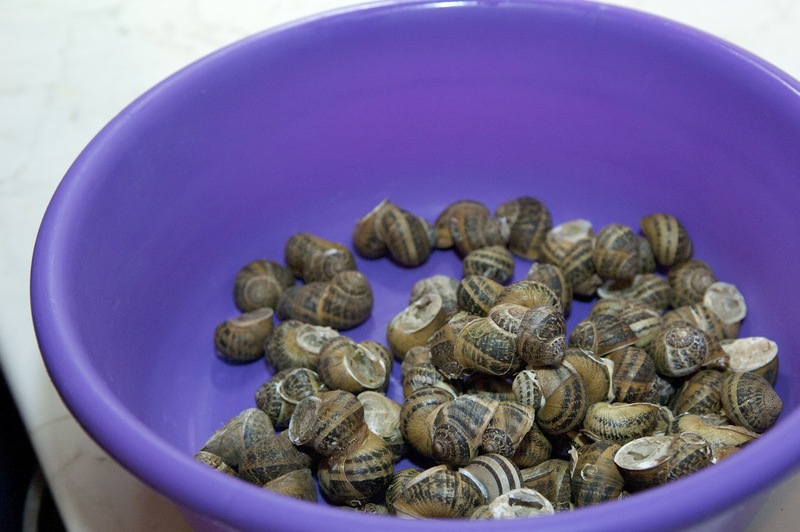 Take the snails and put them into a large bowl. Cover them with cool water and let them rest for about 5 minutes this is to help take off all the hardened flour and dirt that they are inevitably covered with. 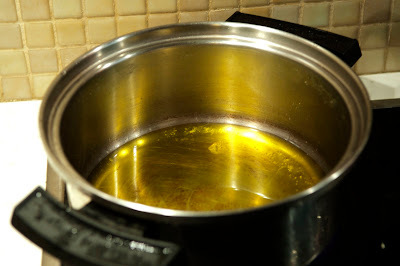 In the mean time put a pan on the stove and half fill with water, turn on the heat and bring this to the boil. Drain the snails and put them into the now boiling water. 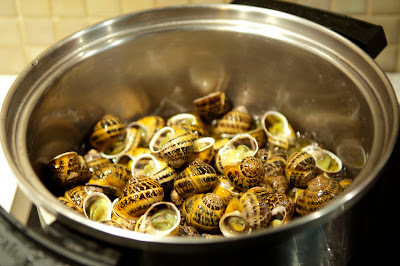 You need to boil them for about ten minutes. 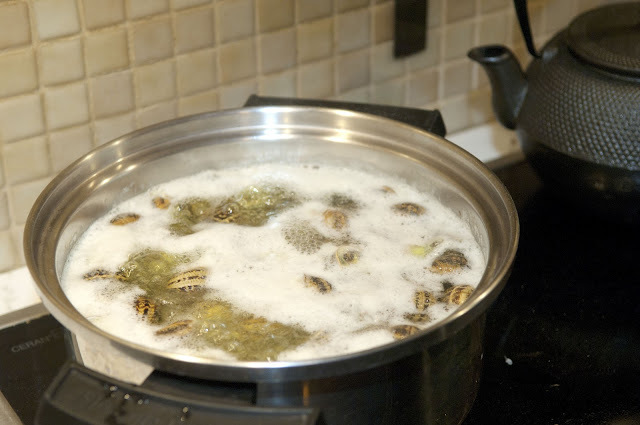 Once the ten minutes is up take them out of the water and drain them in a colander then run cool water over them so that you can handle them. 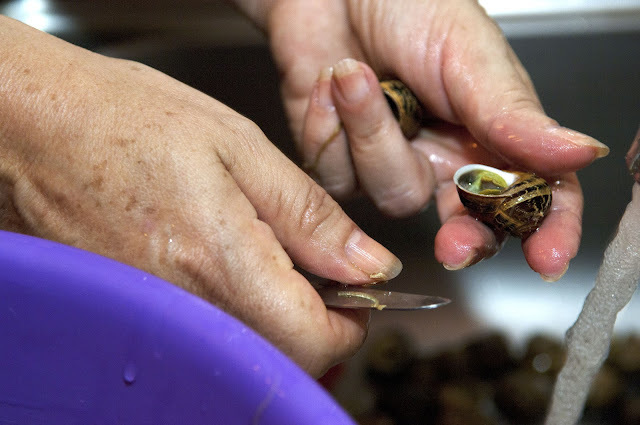 Take a small sharp knife and scrape off all the dirt and any gunk that is on the shell. Grate a tomato and an onion and put these to one side, finely chop the pepper and put this with the onion and garlic. Pour the olive oil into the pan and put it onto a medium high heat. 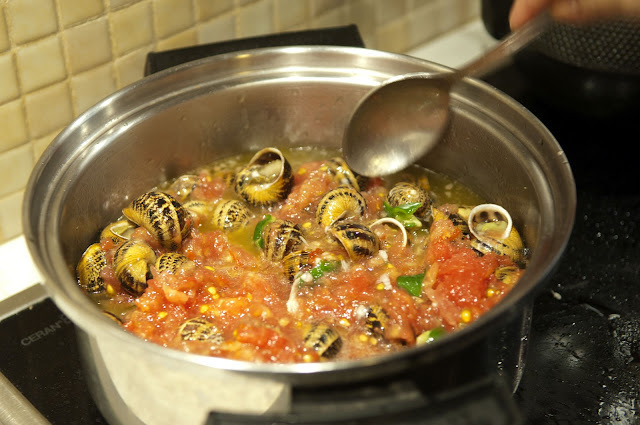 Once the oil starts to warm up add the snails to the pan, stir them to cover in olive oil and then add the tomato, onion, garlic and pepper to the mix along with a cup of water. You can add in herbs, salt and pepper if you wish. Leave the pan on the heat and stir every now and again. The water will boil off leaving the snails in a lovely sauce this will take about 25 – 30 mins. 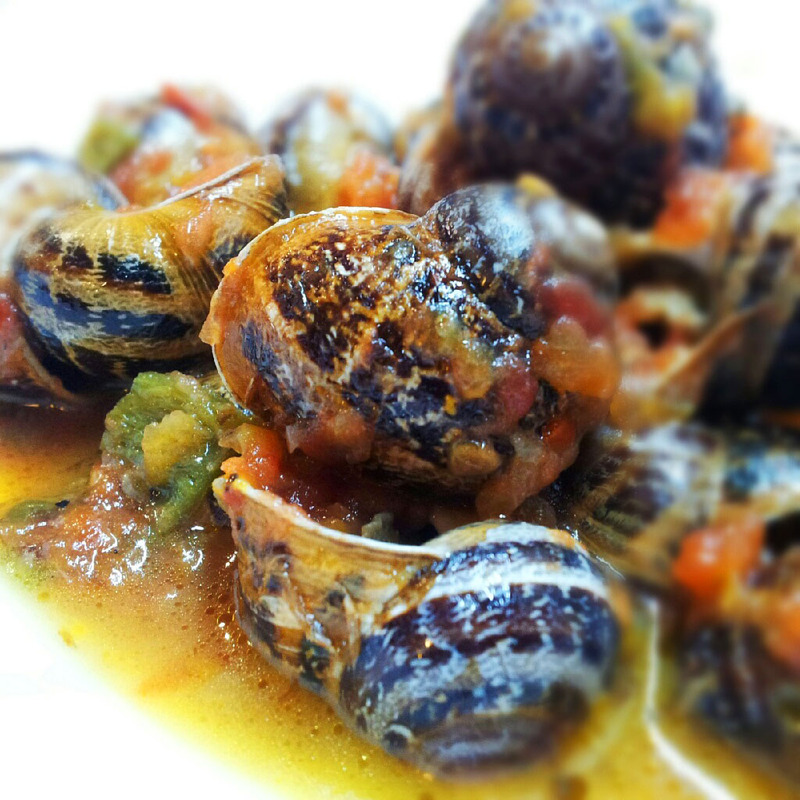 Take the snails out, place them on a plate and serve.